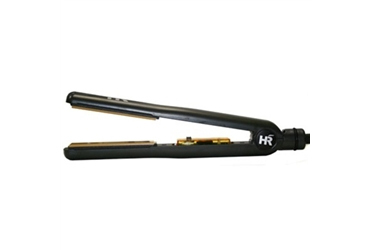 Ceramic / Tourmaline Technology: H&R Straightener's Tourmaline / Ceramic plates are able to distribute heat across the entire surface evenly, retains heat more efficiently, and eliminates damaging hot spots. Tourmaline and Ceramic plates emits a natural source of negative ions and far infrared heat that helps your hair. Use KQC Thermal Shine Spray before styling to protect your hair from heat and give it more shine.